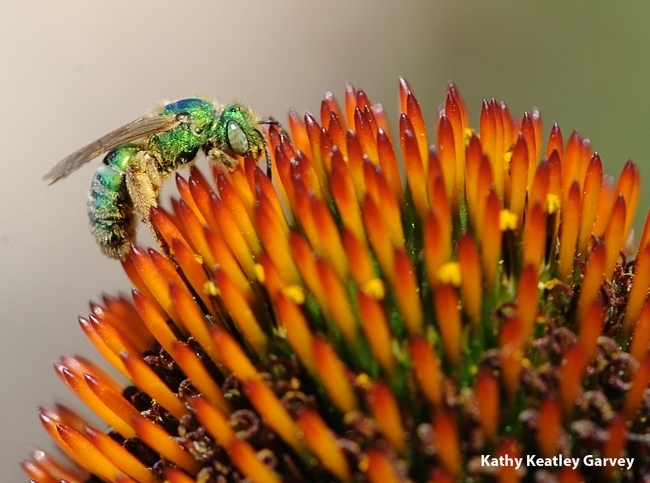 If you've ever seen the female metallic green sweat bee, Agapostemon texanus, or the sand wasp, Bembix americana, you can't help but think about the "Wearing of the Green." They're especially "fashionable" on St. Patrick's Day. 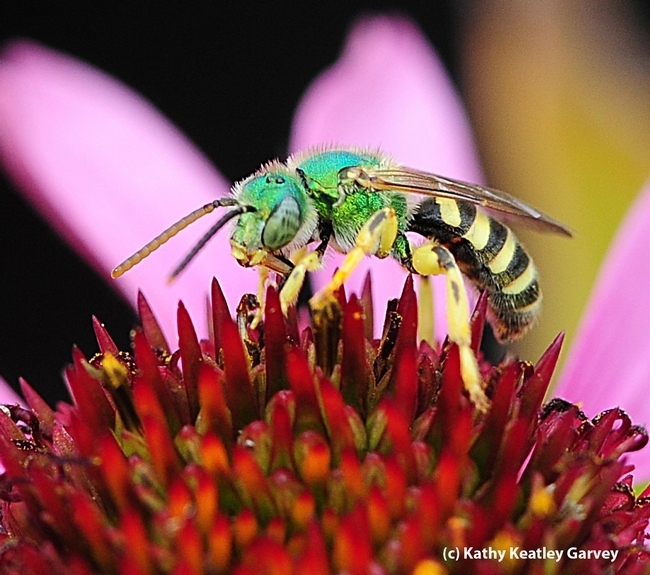 The female metallic green sweat bee, Agapostemon texanus, is green. The males are partly green; their head and thorax are green, but not their abdomen. 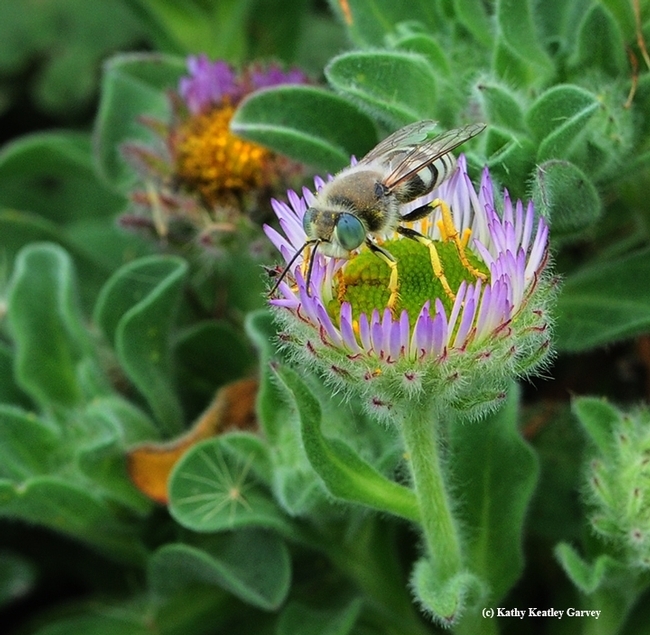 And the sand wasp, Bembix americana, who isn't mesmerized by those green eyes? (They might be smiling, too, on St. Patrick's Day, March 17). Wishing you a pot of gold and all the joy your heart can hold. Happy St. Patrick's Day!